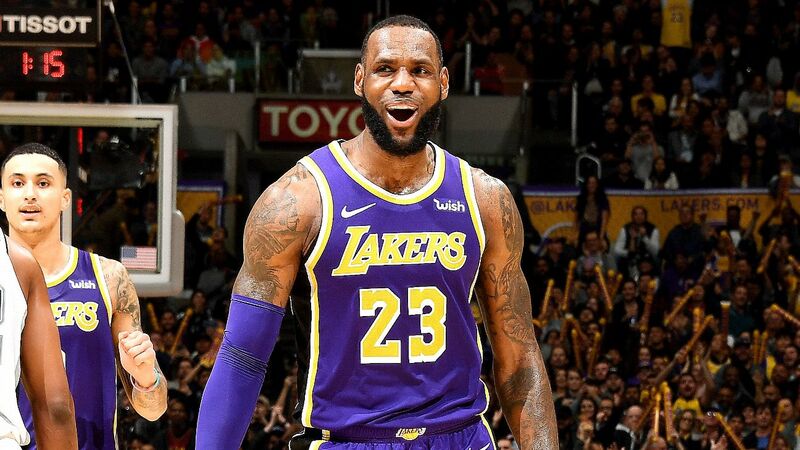 LOS ANGELES -- After a whirlwind week in Laker Land in which Magic Johnson, Kobe Bryant and even Kevin Durant weighed in publicly about how LeBron James should play, or in Durant's case what it's like to play with him, James capped the Los Angeles Lakers' 4-0 homestand with 42 points in a 121-113 win over the San Antonio Spurs. "No, for what? I'm past the [taking things] personal stage," James said after his third game of 40-plus points this season. "I can do whatever. I can have a huge workload, I can have a not so huge workload. ... It doesn't matter for me. What's most important is seeing my teammates make huge shots in the fourth quarter. ... That's what's most important to me. I can care less about the narrative about me. It doesn't matter. I'm a staple in this game." From there, Kyle Kuzma, Lonzo Ball and Josh Hart combined to score the Lakers' next 13 straight points before James added five more points in the final 1:13 -- including a 29-foot stepback 3 -- to salt the win away. Hart, who broke out of a 0-for-3 start to the game from deep to hit two 3-pointers in that crucial stretch, was mutually appreciative of James' night. "You can just see it," Hart said of James' late burst. "You just know. I said it before, he's the best player to ever put on the jersey, so I mean, you know. And when it's happening sometimes it's amazing and people should really stop criticizing, shut up and witness greatness when it's happening." The Staples Center crowd also recognized James' performance, serenading the 16-year veteran with a loud "MVP!" chant midway through the fourth quarter. "Well, he's obviously in that top group," Lakers coach Luke Walton said of James' MVP case. "It's early. We count on LeBron to do a lot for us and there's a lot of responsibility that comes with the type of player he is. And I've been very impressed with how he handles it and how he continues to work and make winning the ultimate thing. For somebody of his talent that's won as much as he has, for winning to still be the ultimate prize for him, I think really speaks to him and how he is and the way that he works and preps and the way that he just carries himself. "So where he is right now [in the MVP race]? That's too early to say, but he's absolutely having that type of season." Earlier in the day, Tyson Chandler spoke to James about the Bleacher Report story he was quoted in talking about what it's like to play with James, the same story in which Durant suggested that superstars wouldn't want to join James in L.A. Chandler explained his comments were taken out of context. "What I said was, when you have a great player like LeBron, I said I've only played with one other player like that, and like Dirk, you have to make it about them because of how talented they are and where they can lead you," Chandler told ESPN. "And of course all of that wasn't put in. 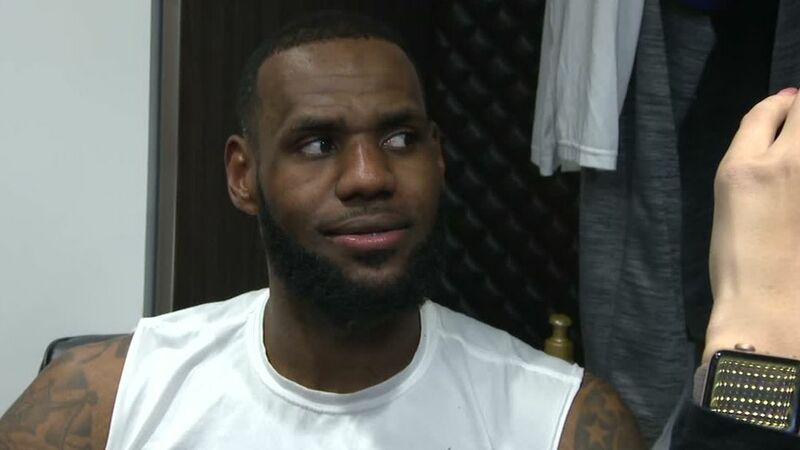 It was just, 'When you have a player like LeBron you got to make it about LeBron,' or something like that. However it read. But that wasn't the full statement. After Wednesday's win over the Spurs, James declined to comment on Durant's remarks. "Just give him the ball, let him make the best play." Kuzma said of James. "It's not so much him being the closer, it's everyone being the closer. Because he's getting the ball, he's attacking, and he's a willing passer. So everybody has an opportunity to close the game. Of course he gets everything, but everybody stepped up and made plays in that fourth quarter, too."